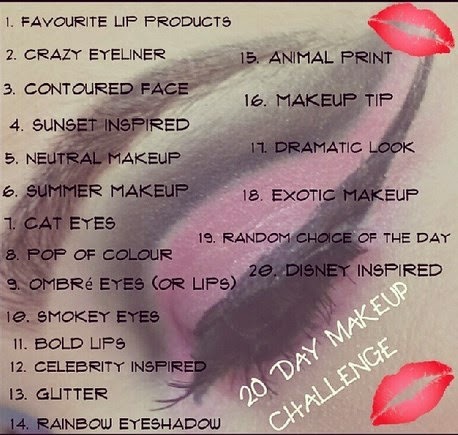 So, This is the 2nd Day of me doing this 20 Days Makeup Challenge on InstaGram. Its "Crazy Eyeliner" Although Being crazy is totally me, but this time it had to be my Eye liner. Here's what I did. The eyeliner is very impressive, I can barely get it on in a straight line!